Just a few weeks ago, the newly renovated former location of Yacht Club Resort’s Captain’s Grille reopened as the Ale & Compass Restaurant and Lounge. 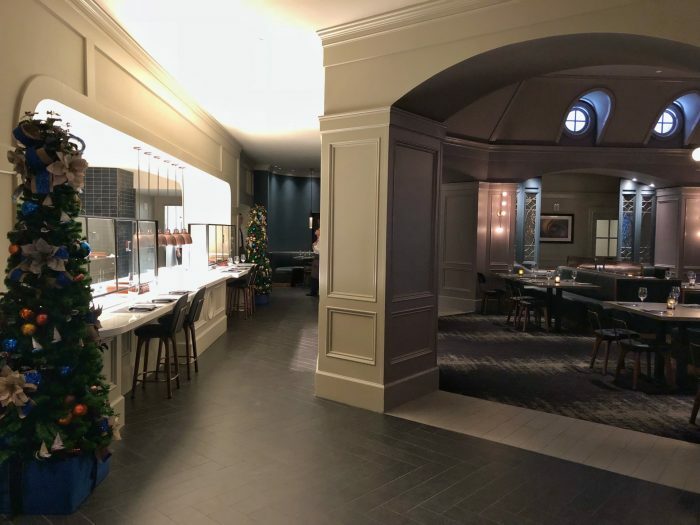 After a few weeks of holiday cheer, and in hopes that the jitters common in new restaurants would be long gone, I dropped in for dinner to see how the new menu and décor measure up to the previous location. Long a staple of resort guests and conventioneers looking for a non-quick-service solution for dinner without much fuss, Captain’s Grille was a fine restaurant with a better-than-average breakfast buffet and a decent lunch and dinner service, but it never particularly wowed me in any larger sense. As a result, I looked forward to dinner at Ale & Compass, hoping for it to be an upgrade in all aspects, especially considering the amount of down time the restaurant underwent during renovations. At first glance, the new décor is, in a word, uninspired. It’s fairly generic; very reminiscent of the “upscale modern” look Paddlefish chose for their interior – greys and deep blues accent the very, very dark interior (which I’m sure is better lit during daytime breakfast and lunch service). In short, the atmosphere seems meant to tell you this place is fancy and worthy of a spendy dinner. 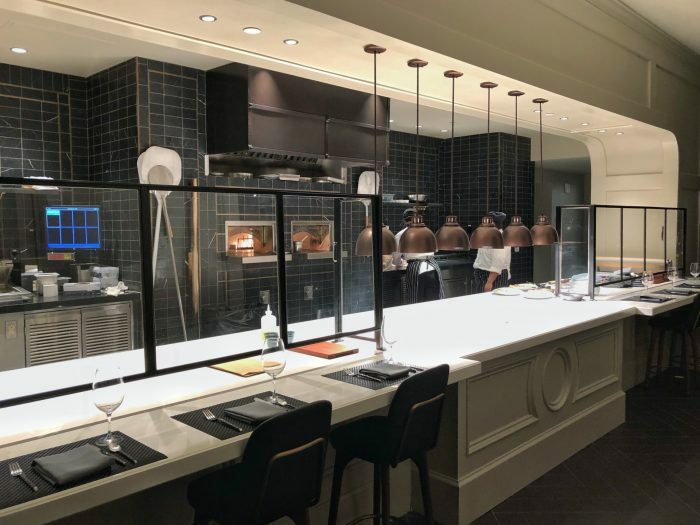 They even feature an open show kitchen now at the front of the restaurant, complete with a few choice spots available for diners on any given night. The open kitchen is a nice touch, in theory, but it reminds me a bit of the show aspect of Mama Melrose’s kitchen – it’s not there as a perk; more as a reminder, a warning before your meal, that real people are making this food, and that it’s not being taken from a frozen dinner box to the microwave. This all may sound a bit harsh, but if I’m honest, I expected a bit better atmosphere with all the time spent renovating this restaurant. The impression given by the hoity host who sat me was that this place was all business, top to bottom. The menu, though, isn’t reflective of this: overall, it’s not much different than the standard non-signature menu from dinner at Captain’s Grille. 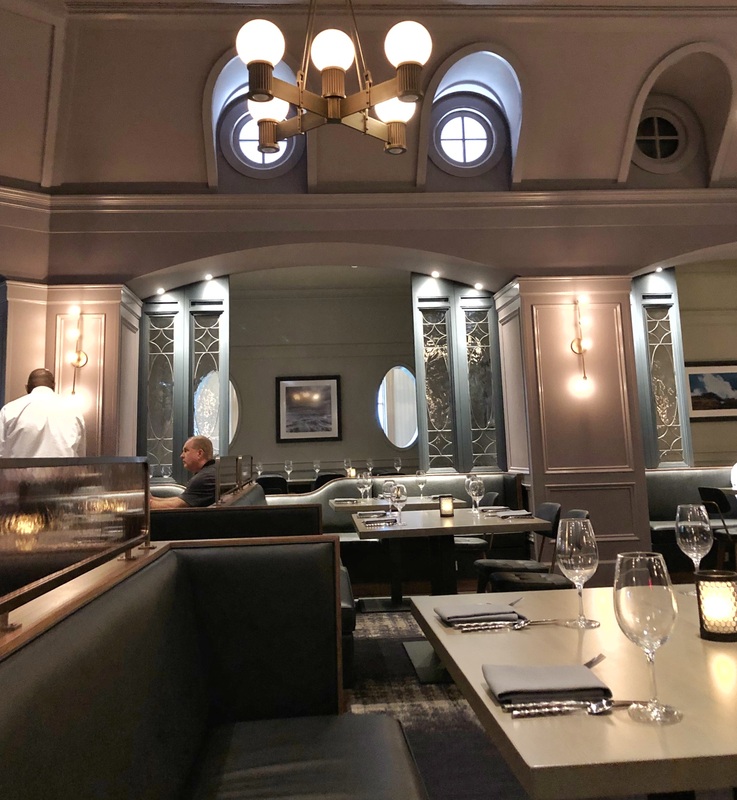 New dishes are featured, to be sure, but overall, it tends towards the same style of simple selections vaguely inspired by New England lighthouse cuisine. The disconnect between the atmosphere (trying to be a bit more upscale than before) and the same kind of menu (with slightly higher prices), then, is a bit of an odd first impression. The wine list is greatly expanded now, thanks in part to the larger lounge next door. Several craft beers appear on the menu now as well, and a few signature cocktails dot the menu here and there. 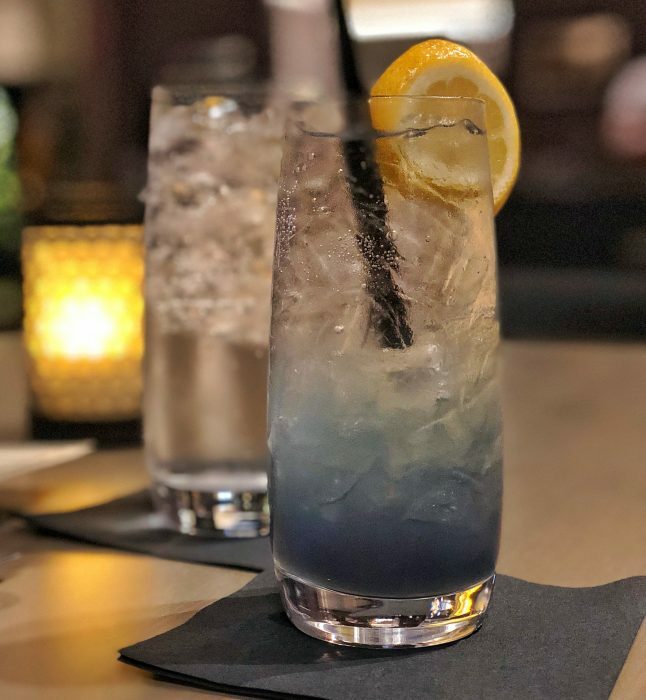 I decided to stick to the light end of the beverage menu and sample the Tom Collins and Aviation-inspired “Purple Mariner”, an $11.25 concoction of Hendrick’s Gin, crème de violette, fresh lemon, simple syrup, and soda water. As it turns out, “purple” really means “the same color as everything else in the restaurant’s décor”, as you can tell by my photo of the drink. I had hopes this would be light, in the Aviation and Collins tradition, but the only thing I could taste was the crème de violette (very sweet and floral), with a slight hint of lemon. The gin was an afterthought here, which is a shame, but not terribly surprising, unfortunately. I’m open to trying a few of the bourbon-forward cocktails featured in the lounge in future visits, and hopeful they’ll be a bit more worth the price. 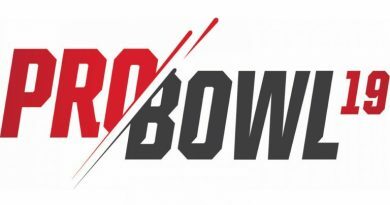 Starters on the dinner menu include a few seafood options (steamed clams, an oysters Rockefeller take for $12, garlic shrimp served four to an order for $15) and an obligatory salad option ($9). The two dishes that stuck out to me the most, though, were the Parkerhouse rolls and the hearth pies. 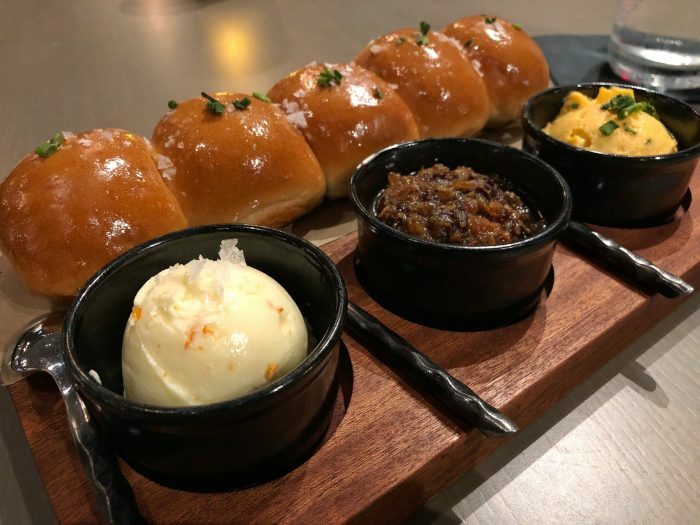 I spotted the rolls on the appetizer menu (served with “bacon jam, pub cheese, and citrus butter”, $12) and asked my server if these are the same rolls served normally as the bread basket here at the restaurant, just gussied up. He laughed. Not at me, mind you, but at the absurdity that Disney would have free bread anymore. I’d noticed the trend in recent months and years towards restaurants doing away with bread before meals, but it never clicked until that moment. I should note that every table around me during the remainder of my meal would also ask about bread, and also be told the same thing: “We have a great appetizer with Parkerhouse rolls and spreads!” — an enthusiastic cry nearly always met with a resigned “okay” to order it. Regardless of my thoughts on Free Bread, the Parkerhouse roll appetizer ($12) was ordered and arrived in short order. At first glance, it was a few bucks too expensive for an upscale bread appetizer (even taking all other bread thoughts out of consideration). Five small Parker house rolls with nice flaky sea salt and parsley butter over top come aside orange zest bedecked butter, bacon jam, and a pot of pub cheese. The bacon jam was what sold me on ordering this, but it ultimately underwhelmed a tad by being a different texture than I expected. Diced bacon and caramelized onions combined in an oily, slightly sweet sauce that pairs well with the salty, creamy pub cheese, but didn’t wow on its own. Overall, I’d have a tough time paying $12 for this appetizer again, though it’s perfect to share and will satisfy most as a savory starter. The hearth oven “pie” variety I ordered, the caramelized onion and chorizo ($18), took a bit longer to arrive (“so it can be hot” was the explanation my server gave me). A manager later swung by my table and told me they had to remake it twice because of new chefs in training; either way I wasn’t worried about lost time, but it was nice that both a manager and chef came by to apologize for the wait! These are available on the entree section of the lunch menu, and swap to shareable appetizers at dinner. Most accurately described as flatbread pizzas (when I read pie, I expected a pot pie sort of dish), this version was a bit light on cheese, but ultimately was a success. The real wow factor is the over easy egg cracked in the middle of the pizza, creating a well of yolky goodness perfect for dipping the crispy crust. The salty, bitey chorizo and hearty portion of cracked black pepper atop the pizza matched perfectly with the aromatically sweet, garlicky leeks. It was tough not to finish this whole pie by myself, but I had to remind myself I could come back for this for lunch one day. I think, again, it is a few dollars too pricey compared to similar flatbread appetizers available around Walt Disney World, but, unlike the overpriced rolls, I would order this again. 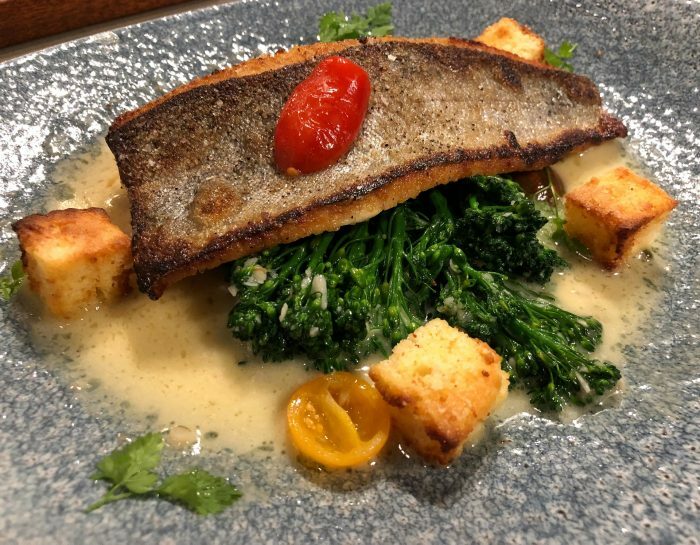 For my entrée, I waffled between several options (and no raves came from my server), so I stuck with something simple: pan-seared trout with broccoli rabe and cornbread cake, served in a lemon-caper white wine sauce ($24). One of the lighter options on the dinner menu, I felt like I needed to try a seafood option at a New England-inspired restaurant. Served skin-on, crispy on the edges, and not quite crispy enough in the middle, the rainbow trout was a tad on the tough side but not fishy, which meant the accompanying lemon butter caper sauce was the predominate flavor of the dish. The cornbread croutons didn’t offer a whole lot to the dish except a bit of starch, so the very green, barely done broccolini (not broccoli rabe, as advertised) served as the sole side to mop up the bright, rich sauce. Overall, this entree was satisfactory; it met expectations but did not exceed them. 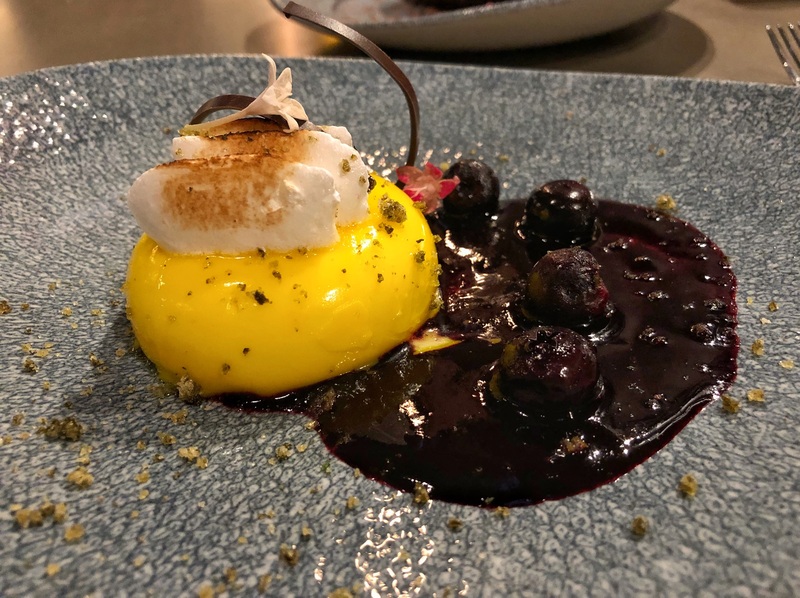 Dessert came with rave reviews from diners around me, so I decided to splurge and try two options: the restaurant’s unofficial signature dessert, the twelve-layer flourless chocolate cake ($8) and the lemon “curd” meringue pie with pickled blueberries ($7.50). First bites came from the cake, which was denser than expected (due to it being flourless), almost fudgy in texture, though not as deep in chocolate flavor as a fudgy brownie. 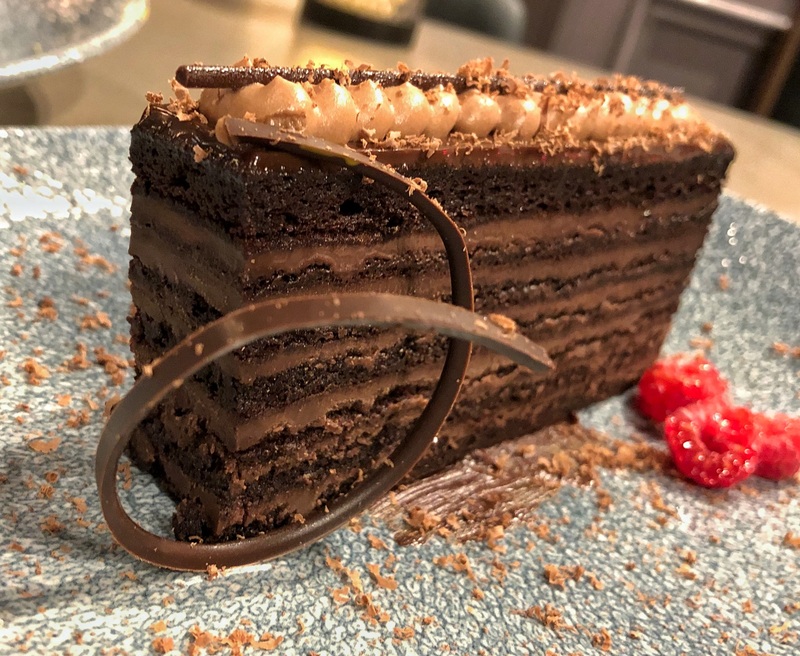 Ultimately, this was very chewy, which wasn’t really the texture I wanted out of a cake, and I found myself struggling to want another bite after the first few. Luckily, the lemon meringue pie dessert really hit the spot. I’m not sure why the “curd” is only implied here in the dessert’s name – it’s straight-up lemon curd in the middle of the pillowy soft lemon mousse, with sweet (albeit a tad grainy) meringue on top. The lightly pickled sour/sweet/astringent blueberries on the side were positively addictive, though I wish a bit more of the pickling liquid had been infused in the sweeter blueberry sauce served on the side. Overall, I think Ale & Compass is as average as Captain’s Grille tended to find itself, at least at dinner service. My server was fine, and any problems (totally expected in the first few weeks of being open) were swiftly resolved by the manager on duty. 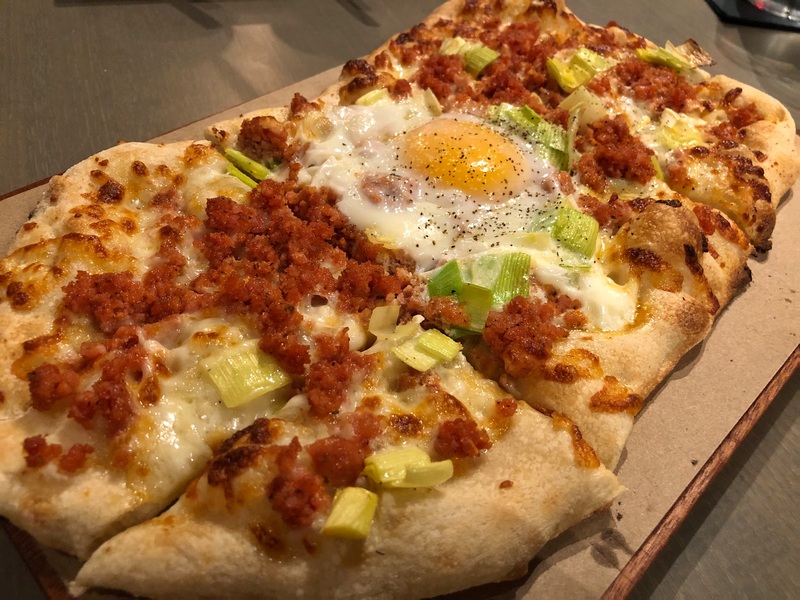 The leek and chorizo flatbread and lemon meringue pie dessert are definitely far above average, and two dishes I could see myself coming back here for in the future. Unfortunately, though, the rest of the meal averaged a meh-to-miss, inconsistent in execution, and just a bit overpriced, even by Disney dining standards. 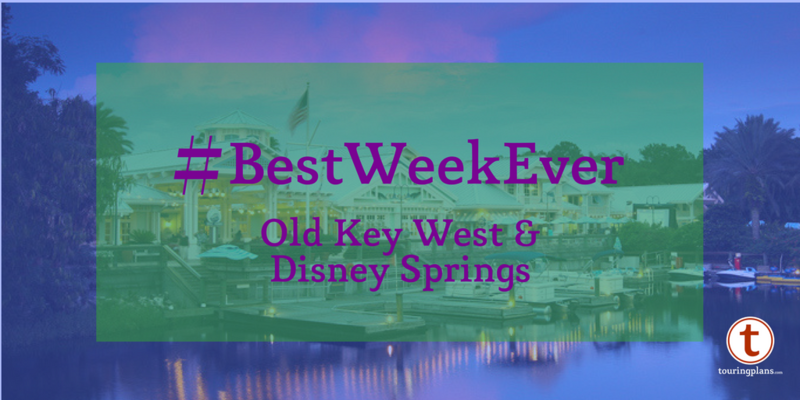 I’m hoping to return to Ale & Compass soon to try breakfast (as Captain’s Grille was a dark horse for favorite Walt Disney World breakfast in my heart), and hope then I can bring you a bit more positive a review of this new location. Thank you for this detailed review! Where can I go to find more reviews by this author? I enjoyed the writing style and foodie approach. Thanks!